Adeline Sims is reputed to be the only female Mason in Ripley’s Believe it or Not. Her grave with a Masonic emblem is located at the Old Range Light Park on Presque Isle Harbor. 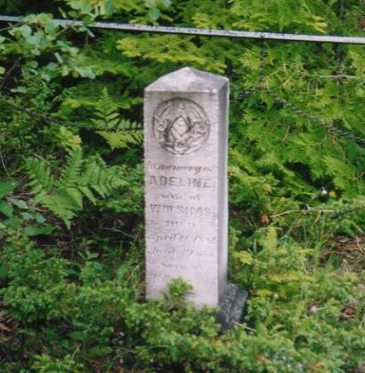 Adeline was the wife of Lighthouse Keeper William Sims.